Can a Person Develop a Gambling Addiction? If you are struggling with suicidal feelings, call the National Suicide Prevention Lifeline at 800-273-TALK (800-273-8255) to reach a trained counselor. Some people enjoy going to the casino and playing the slot machines or betting on their favorite team to win the game. Gambling presents the illusion of easy money. 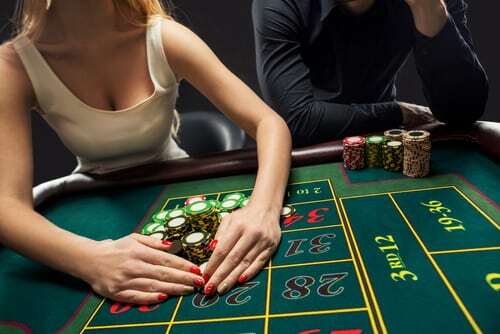 Many people become addicted when they cannot stop and continue to gamble despite negative consequences. Compulsive gambling leads to devastating problems with money, family, friends, and work. In most cases, gambling addiction is associated with other addictive behaviors. Mental health disorders such as bipolar, schizophrenia, mood problems, and antisocial disorders are risk factors for compulsive gambling. Alcohol or cocaine addiction is also common with a person who is addicted to gambling. Even though a person struggling with a gambling addiction wants to quit, many cannot control their behavior without help. A physical and psychological exam will determine an accurate diagnosis for treatment. Mental health disorders can cause a person to act impulsively and lead to his or her gambling addiction. Manic episodes of bipolar contribute to impulsive behavior. Getting the proper treatment will help in the recovery process.